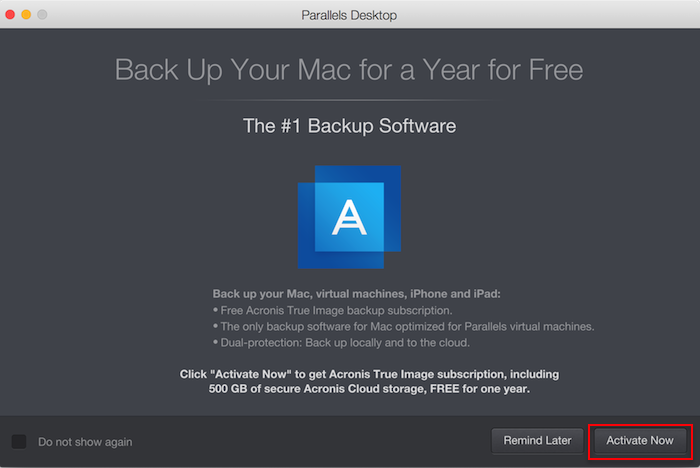 How to install and activate Acronis Online Backup in a Parallels Desktop virtual machine? Parallels Desktop 12 for Mac users receive a special offer: A one-year subscription for Acronis True Image + 500 GB of Acronis Cloud. 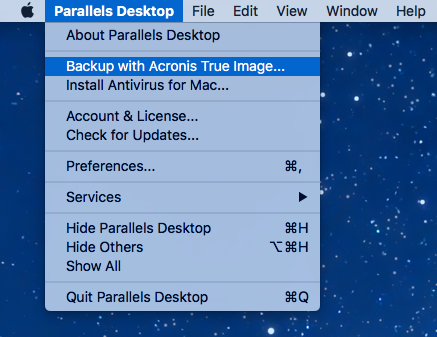 IMPORTANT: By default the Backup with Acronis True Image option in Parallels Desktop 12 for Mac is used to install Acronis True Image for Mac. Without the promo offer Acronis True Image comes with a 30-day trial version. 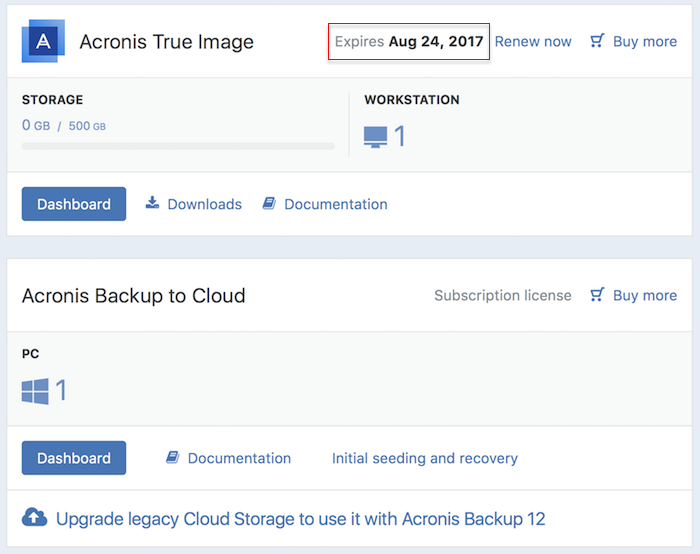 To take advantage of the one-year Acronis True Image 2017 with 500 GB of Acronis Cloud offer, please start Parallels Desktop 12 > click on the Parallels Desktop menu > select Backup with Acronis True Image. In the Back Up Your Mac for a Year for Free window, click Activate Now. 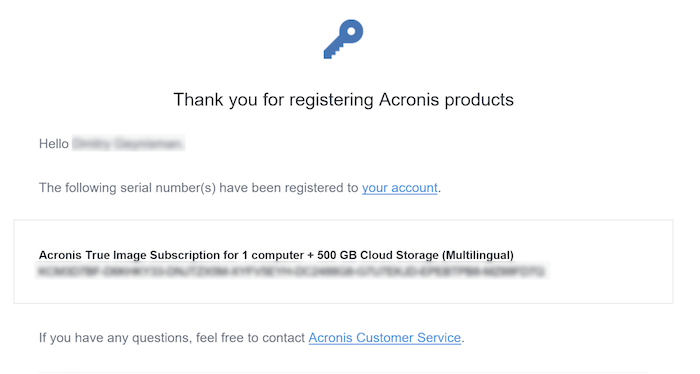 Sign up to the Acronis Account with your Parallels account email (you may use any password). Your subscription will be automatically added to your account after log in. You will also receive an email confirmation with the serial number which will be added to your account.